Today Google announced a new initiative: The Street Art Project, an ambitious endeavor to document street art around the world. The project has launched with over 5,000 images and 100 exhibitions covering an international array of artists and street art hot spots. For an example of an exhibition, see Google’s documentation of New York City’s famed 5 Pointz project. 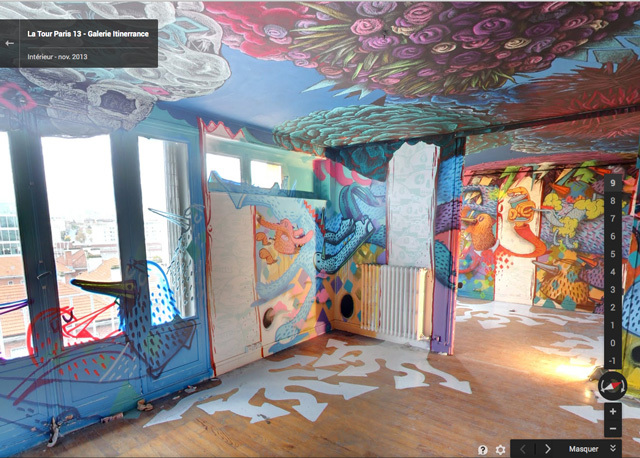 Some art is also explorable via street view — for an example see the Tour Paris 13 building.